Pianist, organist and conductor Malcolm Halliday has performed in the United States, Mexico and Europe, both as a soloist, a conductor, and in collaboration with singers, instrumentalists, and orchestra. 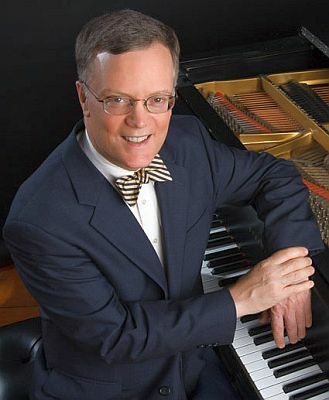 As pianist, he has performed frequently with historical pianos from museum and private collections, including pianos from the Frederick Collection in concerts at Jordan Hall and Faneuil Hall, Boston, and Mechanics Hall, Worcester, as well as with an historical piano at the Metropolitan Museum of Art in New York. A champion of more recent music, Malcolm Halliday can also be heard in two recordings of music by the American composer Leo Sowerby, including the solo album Impressions, featuring rare piano music of this Chicago-based original, and available on the Albany Records label. He is also heard on numerous other recordings, including British art songs with tenor Stanley Wilson, and Schubert’s Winterreise with bass-baritone Robert Osborne – a recording made with the Frederick Collection’s Graf piano. As conductor, he appears in the Albany Records recording The River of Love, an album devoted to Shaker music and settings of Shaker themes by contemporary composers. A Fellow of the American Guild of Organists, Malcolm Halliday recently retired from his positions as Artistic Director of the Master Singers of Worcester and Minister of Music at the First Congregational Church in Shrewsbury, Massachusetts, where he served for nearly thirty years. Mr. Halliday currently lives much of the year in San Miguel de Allende in Guanajuato, Mexico, but returns to Massachusetts frequently to spend time at his lake house in Ashburnham, and to continue concert work and other performances in the New England region. In Mexico he has recently undertaken mentoring and teaching young professional Mexican pianists as they prepare for advanced educational opportunities. He has also begun working with young professional Mexican singers, including assisting in the grooming of 4 finalists in Mexico’s very first Metropolitan Young Artist Auditions who went on to win prizes in the regional auditions held in February in New Orleans. This year, in addition to performing with clarinetist Chester Brezniak, Halliday is also accompanying recitals in New England with the Russian violinist Yulia Zhuravleva, and the Worcester cellist Betsy Bronstein. This is Mr. Halliday’s twenty-fourth performance with a piano from the Frederick Collection; ten on the present series, the rest at other venues.